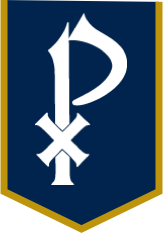 *Adoration at St. Pius X for this school year begins August 24, 2018 and will end May 10, 2019: We are very blessed to offer Eucharistic Adoration at the SPX Chapel each Friday, between 9am and 3pm, with an occasional time change for all school Masses and special school events. This is an extension of the adoration of the Blessed Sacrament which occurs in every Mass: "Behold the Lamb of God, behold him who takes away the sins of the world. Blessed are those called to the supper of the Lamb." Exposition of the Blessed Sacrament flows from the sacrifice of the Mass and serves to deepen our hunger for Communion with Christ and the rest of the Church. Guardians of the Blessed Sacrament sit with Jesus for one hour to Adore Him, meditate, read scriptures, pray, complete devotions, etc. This is a joint effort through Campus Ministry and the Mother’s Club. This is open to Pius students, parents, grandparents and alumnae. If you would like to either be a permanent Guardian (ex. The 1st Friday of each month, 9-10am) or a substitute Guardian (sign up when available), please contact Jessica Kuipers, jess@ismweb.com. Co-President - a 2 year term. First year is spent assisting and learning; second year is spent leading MC (with a Co-President). Please contact Wynne or Rhonda if interested in this Officer position. Communications Chair - an executive board position. The Communications Chair works on the Mothers' Club website and coordinates school-wide communication efforts for Mothers' Club events and projects. Advent by Candlelight – Cafeteria, 1st Sunday of Advent. Coordinate this extremely popular “table hosted” dinner with a guest speaker. Event is 1st Sunday of Advent - December 1, 2019. Hospitality – The "New" MC Hospitality committee will help with the annual Open House & Membership meeting in September, Coordinate MC volunteers to assist with food and decorations for the Faculty & Staff Christmas Party in December, Provide light refreshments for the spring registration night for incoming accepted students in April. Contact Wynne or Rhonda with questions or interest! 2020 Gala Liaison - Liaison between Mothers' Club and the Gala Committee for timely communication of key information and volunteer needs. Marketplace Committee - contact Michelle Broadway to discuss open leadership positions. Our shadow program gives you time to participate and learn all about how an event or committee activity is organized without the pressure of leading until next year. Any committee can be led as a partnership. Inquire about being a shadow for any of our 2019/20 committees.